The authorities of the Kwara State College of Health Technology, Offa have released the list of candidates offered provisional admission into the school programmes for the 2018/2018 academic session. Offa Health Tech admission list for the 2018/2019 academic session is now available and accessible online. Check Offa Health Tech Admission List. 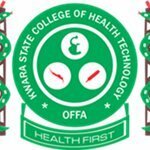 Kwara State College of Health Technology, Offa admission status checking portal at https://www.offahealthtech.edu.ng/eportal/admissions/. Finally, click on ‘Check Status’ to access your admission status. After checking your admission status, successful candidates are to proceed to the student portal and print their admission letters. Successful candidates are required to pay their schools fees before printing their admission letters. Printed admission letters are to be taken to the Admission Office for endorsement. For further enquiries you may call 08184446632 (9am to 2pm weekdays). The College will resume for the 2018/2019 academic session on the 6th of August, 2018.